Miele’s Exceptional German Engineering in the HomeCare lineup surpasses all vacuum cleaner manufacturers. Offering a 5-Year Warranty on parts and labor and 10-Year Warranty on motor and casing, it is the most comprehensive package ever. Miele HomeCare Units are only sold by Authorized Dealers that are full service vacuum retailers, offering our exclusive HomeCare Vacuum Collection. HomeCare Dealers can help you find the perfect vacuum customized for your cleaning needs and preferences. Miele’s Exceptional German Engineering in the HomeCare lineup surpasses all vacuum cleaner manufacturers. At Miele, we never stop imagining, innovating and achieving new heights. And neither do you. 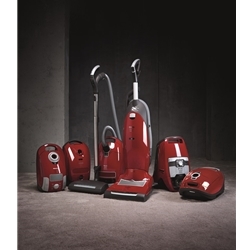 Miele vacuums are designed to deliver exceptionally high quality and a long service life.